Cory is performing poorly in class, and on the football field. Coach Nelson is tough on him. Cory's girlfriend resents his devotion to his blind father, but Cory knows he must play football to maintain his father's happiness. 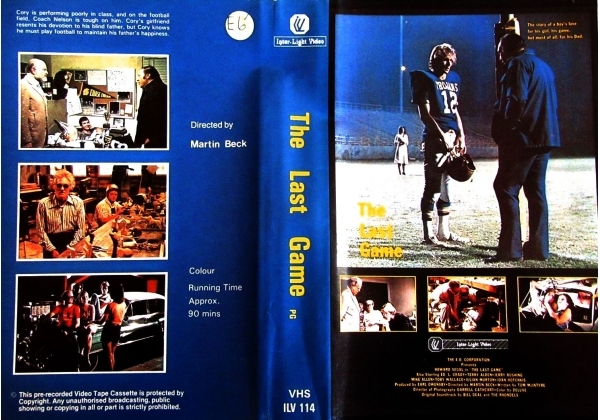 Or find "Last Game, The" on VHS and DVD / BluRay at Amazon.